The members of the Council of State have pledged their support for the National Population Council (NPC) to carry out its mandate of advising government on population and its related issues. According to the council, issues bothering on population cannot be taken out of the equation of development. 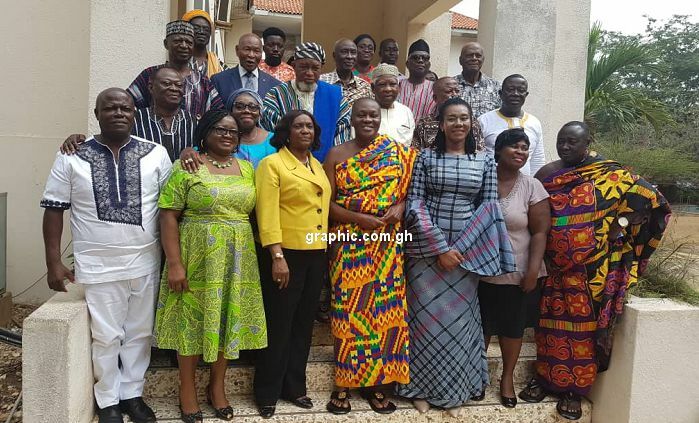 The Chairman of the Council, Nana Otuo Siriboe II, said there is an urgent need to prioritise population management in the development planning of the country as it has a direct bearing on the country’s resource use and distribution. 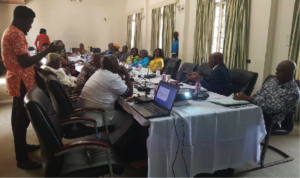 Nana Otuo Siriboe made the remarks when the Executive Director of the NPC, Dr Leticia Adelaide Appiah gave a presentation on Ghana’s population structure at the State House in Accra. He said no matter the amount of effort government put in place to develop the country, once the population is not factored in, such efforts would not yield any result. “In our time, the secondary schools with high population was not up to 700 people but today, Opoku Ware Senior High School has more than 2000 students,” he said. She described Ghana’s population as a youthful one, noting that such a population structure has implications on the country’s expenditure. According to Dr Appiah, youthful population is characterized by high poverty rate, high dependency ratio, high expenditure on government to contain diseases and not to improve healthcare, fewer people paying taxes, and poor quality of education and lack of employment opportunities. She explained that population and development are inter-related, explaining that in order to improve the quality of development planning, it is important to promote awareness among planners and policy makers on the need to adapt population policies consistent with development objectives. According to her, it is important that stakeholders realise that high risk births, unwanted childbearing and rapid population growth as a demographic path is a major obstacle to our development. “We therefore need to invest in family planning to reduce high risk pregnancies which translate into reduction in medical, economic and social expenses,” she noted. She explained that reducing high risk pregnancies sets the stage for adequate investment in nutrition, health, education and skill needed for human capital accumulation. According to her, making contraceptive accessible and easily available can be achieved through well-funded and active countryside media campaign supported by political leadership that provides information about the benefits of contraception, smaller families and the advantages of reducing risky pregnancies to the family, community and nation.